You might be asking yourself right now why you’re seeing a Christmas story in the middle of February. I could try and come up with an excuse but I won’t. I’m lazy. It’s a fact I’m comfortable living with and if you’re still reading after this intro well hey you probably are too. After all regardless of what time of year you head that way I’m hoping this will be a helpful guide to traveling in Detroit. So why was I heading up there? I’ve been a big Chicago Bears fan since I was a little kid but had never been to an NFL game in my life. So, last year my sister (who is awesome) got me tickets to see the Bears and Lions play. With one catch. It was in Detroit the following year on the week prior to Christmas. There were other reasons for going to Detroit too though. Even though I was met with a few ‘why are you going to Detroit?’ responses I had a really good feeling that the down and out nature of Detroit that everyone has been pedaling wasn’t really fair. 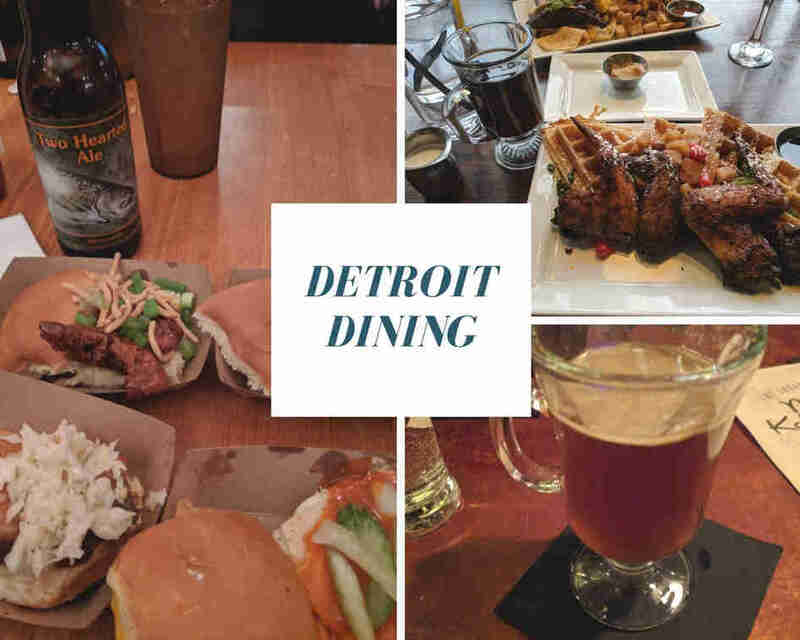 Not only that but I’ve been hearing great things about Detroit as a travel destination. Lonely planet ranked it as their number two city in the world to visit. All that combined to make me pretty excited to be headed that way. So as we usually do let me get into the plan for the trip. First I took the same approach with Detroit that I do with all my trips now. I started building a google map with all the locations I wanted to see. That said I may have gotten a little ahead of myself. 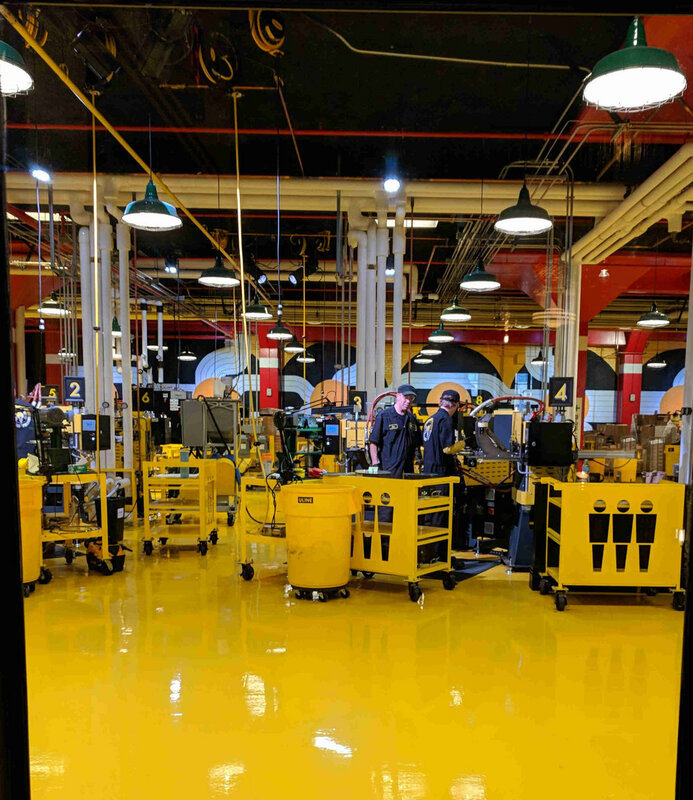 For a trip that was really just a weekend trip I spent ages searching for Detroit points of interest, speakeasies, etc, etc, but in the end I suppose the exercise was worth it. I don’t know. If you’re from Detroit take a look and tell me how I did. There really was no way we would be able to hit all the places on the map but having a list of possible spots meant having easy access to locations that were nearby if we were walking around the city. The one other issue with the map was that I was traveling with my dog. This is something I’ve been trying to start doing more and more but part of what I was adding to the map was dog friendly spots and while they may have been most dog friendly locations are outdoors and we were going in the middle of the winter. Some did still work out but if you’re traveling to Detroit, or any other city for that matter, with your dog that may be something you should keep in mind. The dog made accomodations a bit of a challenge as well. We did have a list of dog friendly hotels that we found but we ended up landing on Airbnb as the best option for that particular thing. It was after all going to be me, my sister, the dog and we were going to be in and out quite a bit. It just seemed like renting an entire house in a neighborhood made the whole trip a little bit more conducive to everyone keeping their sanity. The Airbnb we found was great and exactly what we needed. Jan answered all of our questions promptly provided some tips on where to go nearby with Koda (my dog) and just provided an excellent place to stay at a really good price for that weekend. They do not allow pets any longer, not my fault I swear, but I was really happy with the place and the neighborhood. 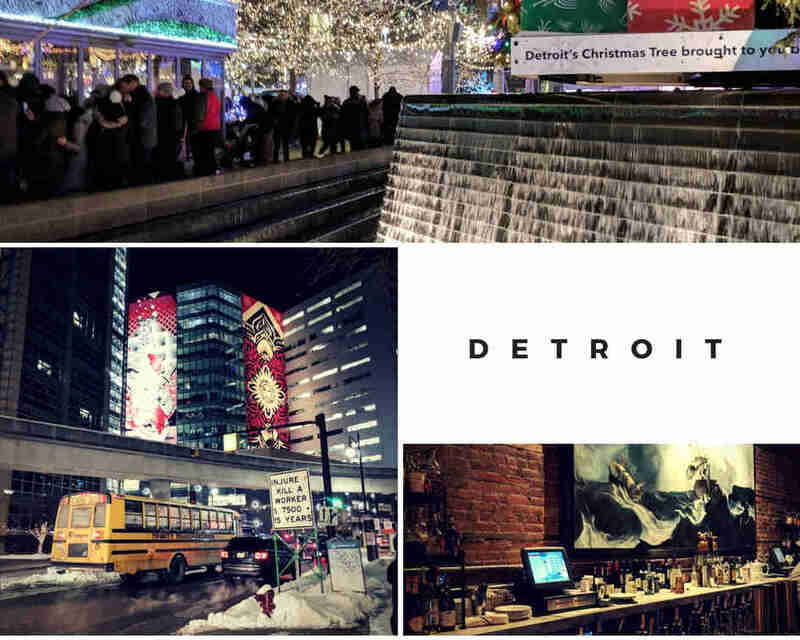 If you’re going to Detroit and looking for a place to stay look them up/just click the link I posted above (update:they have since taken this listing down as it is now a full time rental not an Airbnb. Sorry.) I have heard since then that Airbnb is a little under fire in Detroit and I hope it hasn’t impacted them. 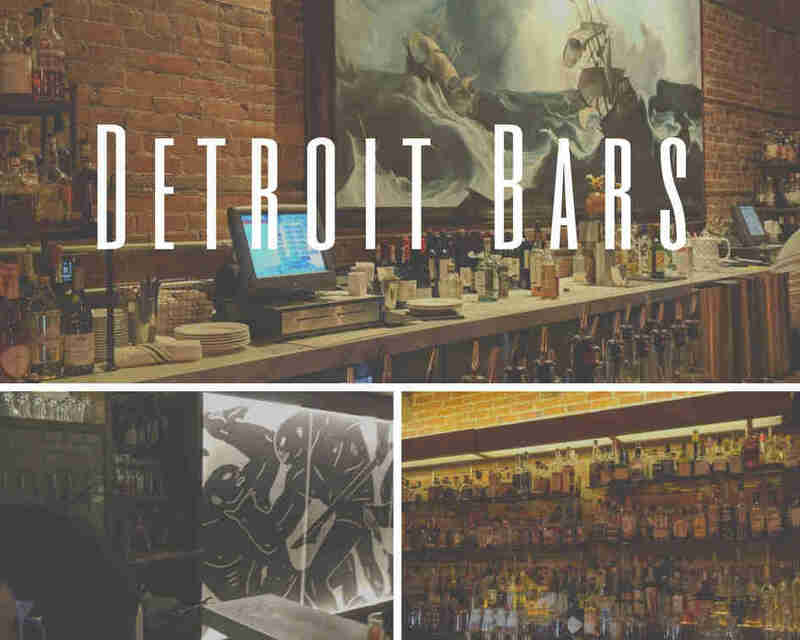 So now that we’ve got the planning and accomodations out of the way let’s get to Whiskey Tramp’s recommendations for Detroit. Let me say this before we get started on the recommendations and as a bit of a disclaimer. I’ve been to Detroit once and for just a few days. I’m sure if you visit here frequently you’ll have a hundred places I missed. I already know of a few actually. Feel free to comment below and let us know what we didn’t get to. 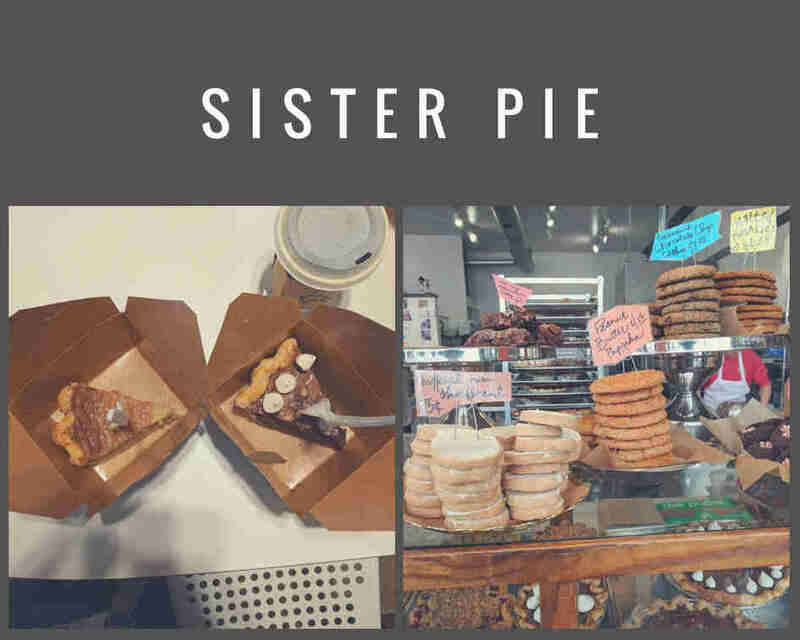 Sister Pie was on the same block as our Airbnb. Same street actually. It’s a small bakery and I may have, if such a thing exists, gone a little pie crazy here on our first morning in town. You can all just keep your judgy looks to yourselves. I do what I want. 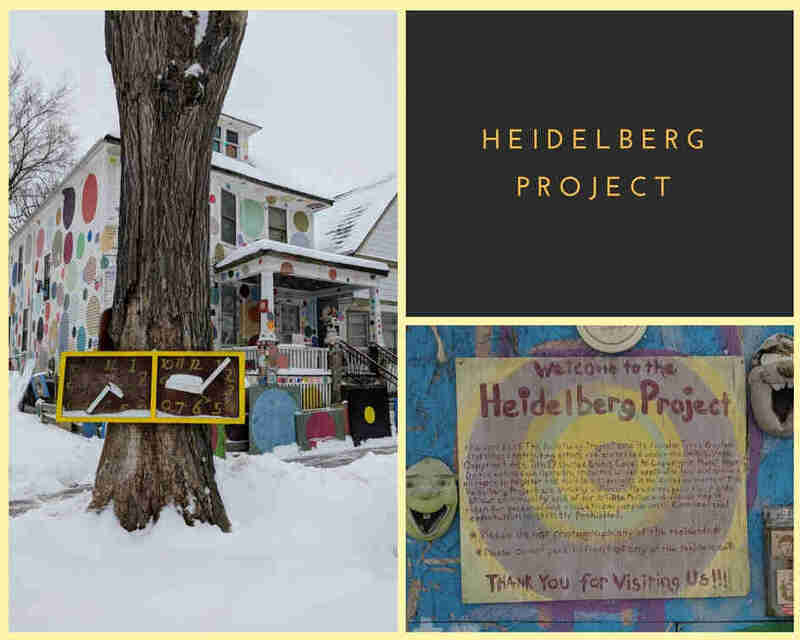 The Heidelberg Project is an outdoor art project. It was also not far from our Airbnb. We got a little grace, I think, because the roads were so snow covered when we were there but if you visit please be respectful of the residents that maintain it and not park in front of their houses. We didn’t see the signs till we already had but they were really nice to us. 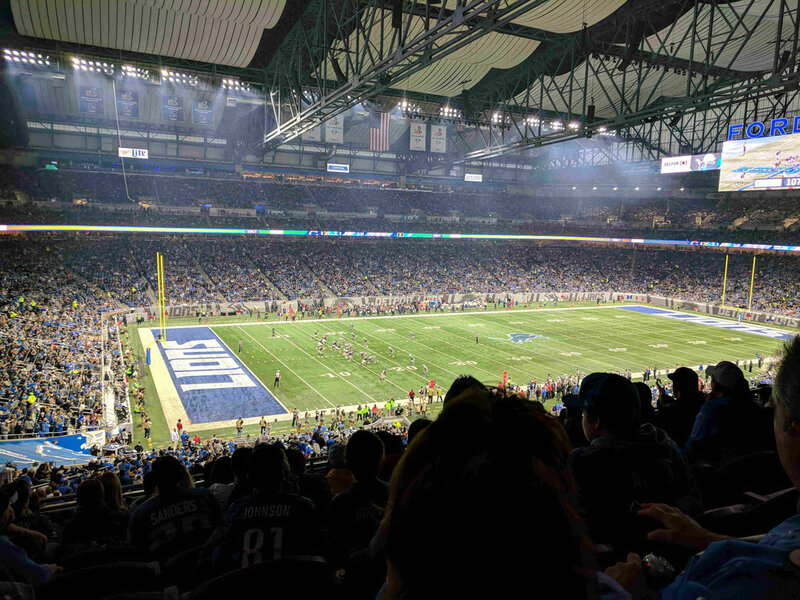 We went to see the Bears play the Lions at Ford field. But there are a ton of other options in Detroit. I’m sure you don’t need me to list them all. We got to squeeze in a few pretty cool bars after leaving the game on Saturday. You didn’t think I’d travel somewhere and not have a few recommendations for where to find a good dram did you. Here are a few of the highlights. Standby: Standby was kind of packed. We did go there right after the game and they aren’t really all that far from the stadium which probably played a role in that. However, we did find a seat at the bar pretty quickly. The atmosphere was cool and they had a nice selection of whiskey cocktails which of course I loved. I even branched away from whiskey cocktails a little. Shocker I know. I got the Penicillin and the Mezcal Me Maybe. Okay one was whiskey one wasn’t. Wright and Co: We did have a little trouble finding the door for this one. It’s not really that difficult. It was just us acting like tourists. The atmosphere was very cool here, the bar staff were friendly. They gave a recommendation for a local whiskey (the true route straight to my heart). It was Grass Widow in case you’re looking for it and it was good. I got a Yamazaki 12 as well. Their cocktail options were really good and though they do not have an amazing whiskey library they said they were working on building it out and I did see a little Pappy hiding out behind a bunch of the others. Of course my name is Wright too so that had a little contribution in the drawing me in there too. Sugar House: Sugar house was doing a holiday themed cocktail party when we arrived. Sorry unless you’re visiting around Christmas you probably have missed out on that but judging by the place I’d guess they do a lot of these. I had a hot buttered rum that I really enjoyed and just straight up tastes like Christmas. I’m pretty sure the goat on the wall was staring at me though. The Block: Had breakfast at the block one of the mornings. If you’ve read any of our previous stories you know I’m a little obsessed with breakfast and this definitely hit the spot. Got the chicken and waffles and I can’t complain at all. They also had these delicious sweet potato muffins that came with our breakfast. If you eat there and they ask if you want the sweet potato muffins your answer is yet. Trust me you’ll thank me. Green Dot Stables: Went here for dinner one of the nights. It’s a horse racing themed sports bar. They have sliders. So many sliders. One thing I didn’t do, that I had intended to, while in Detroit was get a Coney Island. They did have a Coney Island slider at Green Dot Stables though so I guess I sort of did. Did do a little shopping while we were there too. Went down to the eastern market, hit Third man records so I could get some vinyl albums (and unbeknownst to me my sister could get me some Christmas gifts). All were fun and of course you can stumble upon some good food along such outings too. Which really is more of a highlight than the shopping itself. 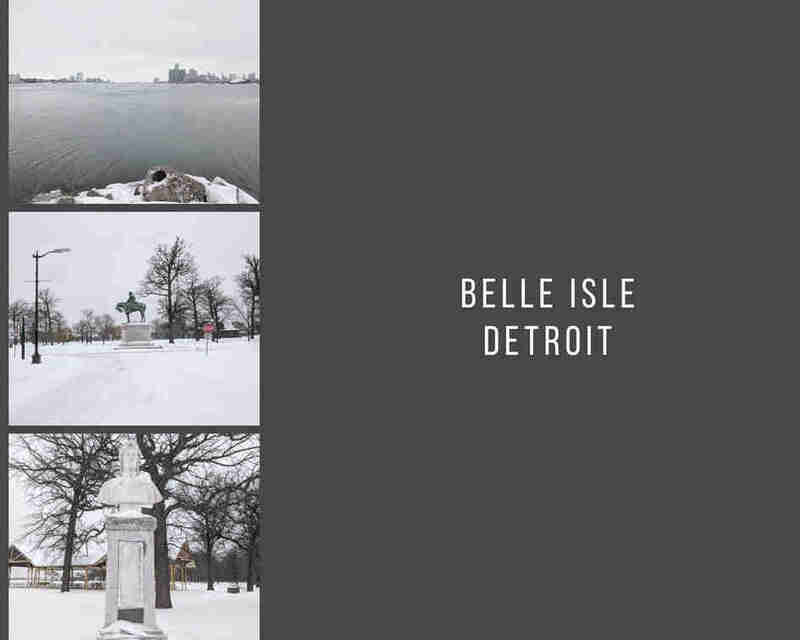 Belle isle was another one that was relatively close to our Airbnb. We were able to take the dog with us out here. It was pretty well snow covered and not a ton of people were here but Koda didn’t mind she got to run around a little. There’s a great view of the Detroit and Windsor skylines from Belle Isle. We had intended to visit the abandoned zoo that is out there but it was pretty well locked up and with a dog in tow I wasn’t going to be climbing any fences. Not that you should be doing that anyway. Belle Isle is a nice segway here. There is a lot that gets said about the ruined old spots in Detroit and how fascinating it is to see them. That did play a role in our planning of this trip. Just the idea of seeing those sites. However, it won’t play a huge role in what we’re talking about here. Besides just the fact that it just didn’t materialize. First, these sites are often kind of dangerous and really require some ingenuity that I wasn’t willing to go through to go into. They don’t really want you in these places after all and you can see them with a simple Google search. Atlas Obscura and Thrillist both have great posts on those things. But more than that there was so much to see and do that wasn’t a ruin in Detroit. So much good food, good drink and creative art that in the end why revel in the things that are closed and just enjoy the good that is open. We did go by a few of these spots like the Belle Isle zoo and the train station it was not our primary focus and I’m glad for that. So final thoughts on Detroit? I think you can guess at this point. The people were really nice everywhere I went. The food was great the, drinks were great and I don’t know when I’ll get another chance to go but when I do I really am looking forward to it. The city was alive with Christmas activity and if that’s your thing it’s a good time to go but if it’s not hey I’m sure you can find stuff at other times.